3/20 December Blog Challenge: Favourite and Least Favourite Foods. Ah, a topic that will probably make me hungry just writing it. I really love eating. Most food is so delicious, sometimes I wish that I could just keep tasting good food, without actually having to eat it – feel extremely full and possibly gaining weight. But then again… Texture and consistency is really important too… The flavour can be great.. but if something isnt the right texture in your mouth… the yummiest thing can be totally gross. Today I am sharing a list of a few of my most favourite and least favourite things to eat. I will start with my dislikes… Many people will tell you that I am a very very picky eater. And yeah, OK! Ill give you that to a point. I am picky, I don’t like a lot of the things that I try…. That’s right – I TRY. Most picky eaters I know, eat only their certain things and wont try anything else. I will try everything at least once. I probably won’t like it – but if I don’t give it a try, how do I know that I am not missing out on my next favourite food?! Mustard – It is just gross! Peppers – It’s both the texture and flavour on this one. Weird Cheeses – They creep me out, especially blue cheese. This one I haven’t tried… i just can’t eat mold I can see. Mushrooms – besides the fact that its fungus… the texture is so not welcoming in my mouth. Kale and Spinach – I will eat these, sometimes you just have to. I don’t like the flavour/texture… but if you sop enough dressing and stuff on them, they are easily consumed. Junk Food – pop, chips, candy… ice cream! Rice – This is a food that I spent the first 18 years of my life hating. Then one day I tried some fried rice and loved it… and then a while after that I tried white rice with soya-sauce… and now I love it even if its just plain. Mexican- Tacos, Enchiladas ,Quesadilla.. tostitos – nomnomnom!! Spaghetti – Baked with cheese… my fav is eating it the next day on toast! Sheppard’s Pie – I haven’t had this for a long time… I love it with a piece of buttered bread! potato bacon chowder or tomato soup with lots of pepper and crackers – NOMNOMNOM! Bacon – This is meat candy! Oh my! I need to stop, my mind is now racing thinking about all of these foods ( and I just noticed that nothing on there is really healthy… meh) and how tasty they would be in my mouth. There are more things that I really like and possibly really dislike, I should have started thinking about them days ago instead of sitting down at 730 am and expecting my tired brain to think of things. Oh well, there is only so much anyone else actually cares about knowing what I do and do not like to eat…. And maybe this has made you hungry too? I have to admit, my tastes are fairly basic. I love food, but I really like easy foods. Doesn’t come much yammer or easier than chicken nuggets. 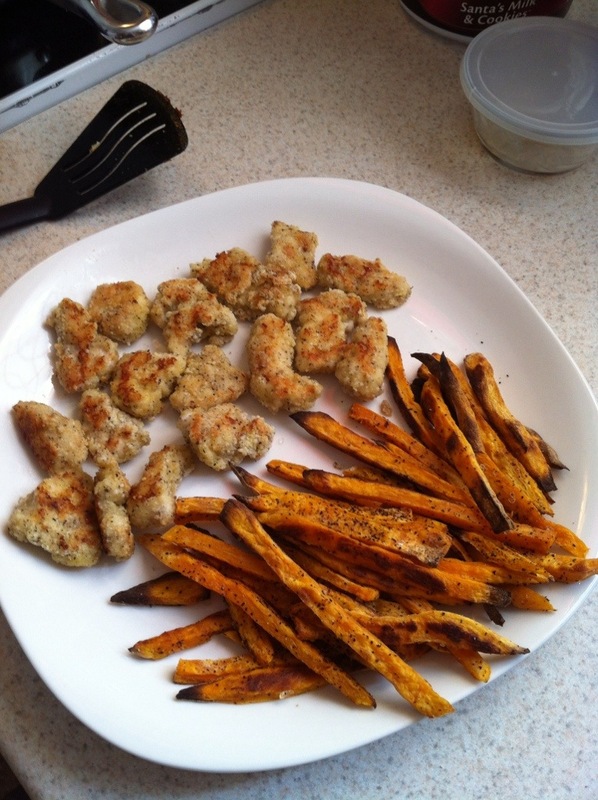 This recipe I found on paleo cupboards chicken nuggets is very good. 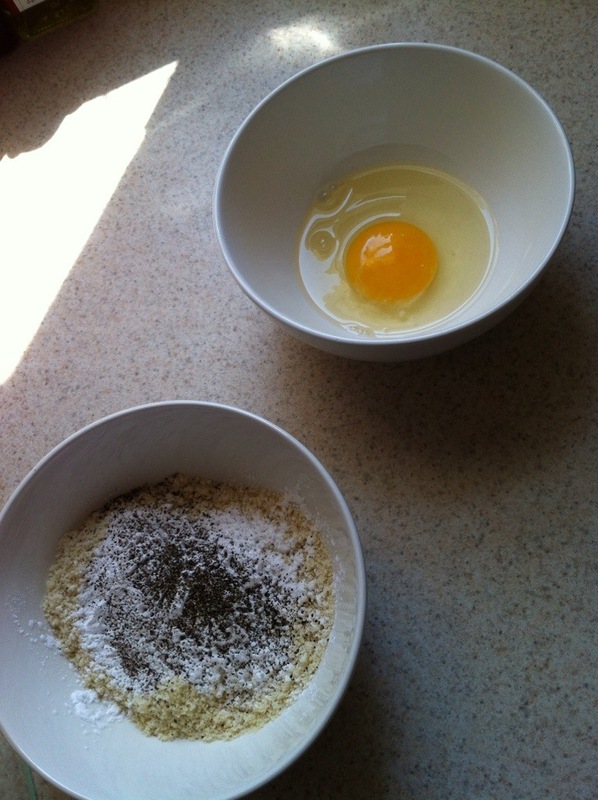 I’ve made this a few times and once I didn’t have the arrow root powder…. It was not even remotely as good as usual. My daughter hates chicken and she even liked these! I only cook for on lately as my fiancé is away ( oh the military life!) so I’ve adjusted this recipe to suit my needs. 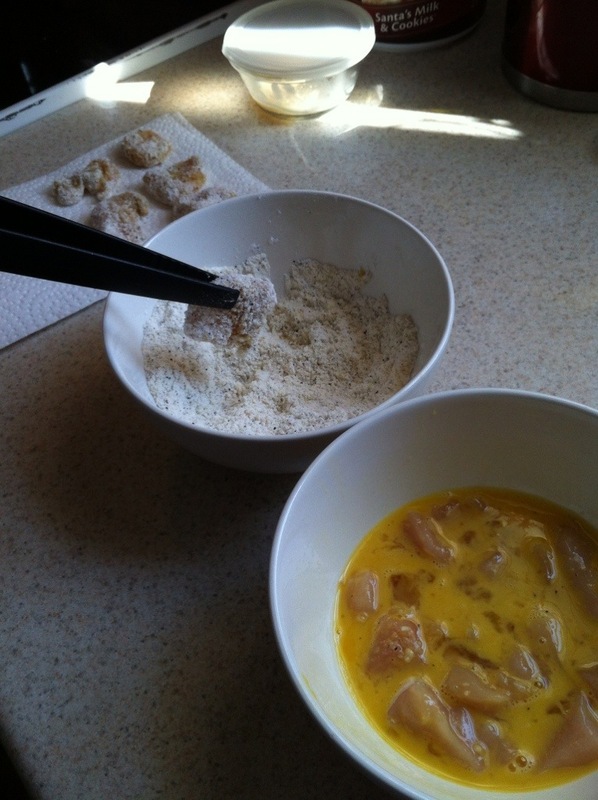 Dip the pieces of chicken into the egg, then the almond coating mixture. Heat up a frying pan with some bacon grease(yum) or olive oil or coconut oil. Fry those little suckers up! Eat and enjoy! It’s as simple as that! 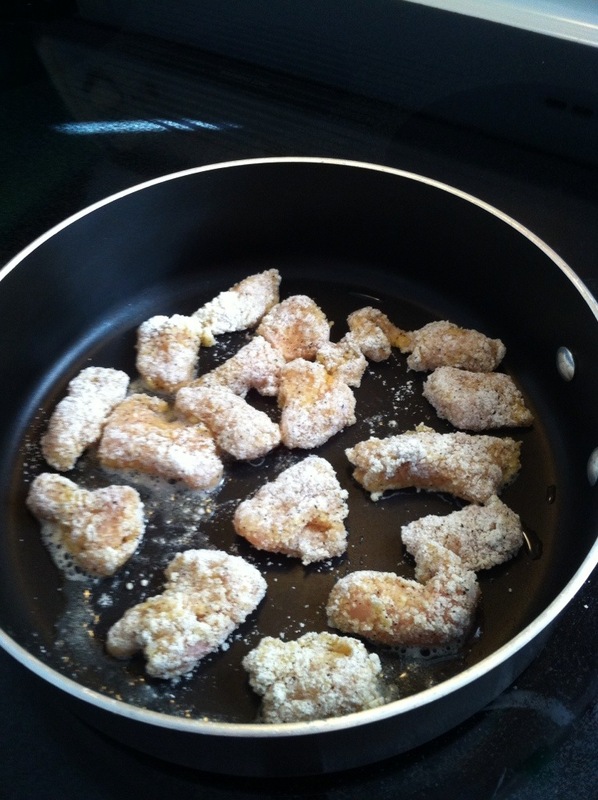 Here are the photos from the preparation of these tasty nuggets!